Social media users say that Instagram is the platform that has the greatest influence over their purchasing decisions. Keep in mind that those stats are from the summer 2017 season. Now, with links put directly in stories and with the Instagram Live feature becoming more popular by the day, we can safely assume that this platform is even more important for informing people about products and services and leading them towards purchasing decisions. Do you need more data? As it turns out, 80% of Instagram users follow at least one business on the platform. Instagram users are 60% more likely to buy a product if they get a chance to buy it on the social network itself. Instagram leads to much higher engagement than all other platforms, including Facebook, Pinterest, and Twitter. So how do you do it? How do you use Instagram to guide people towards buying your products or services? 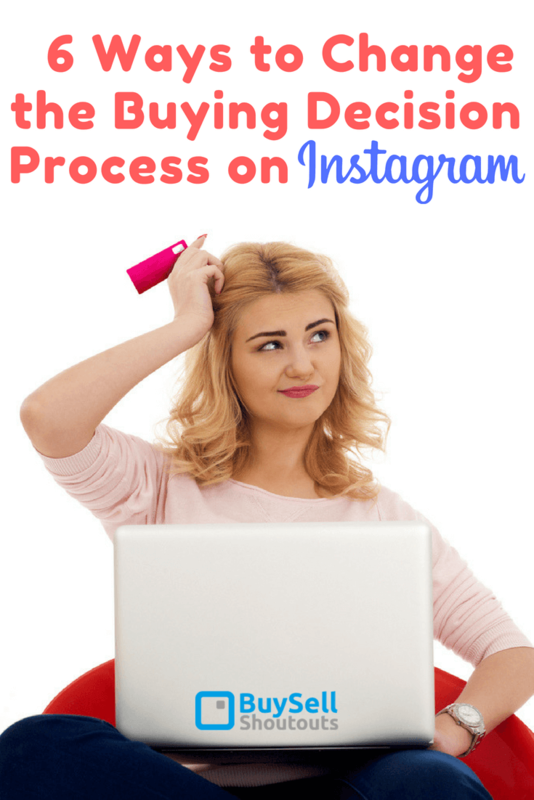 Instagram Has Great Sales Potential; So Start Benefiting From It! It should provide relevant information about the type of business, as well as the link to the main website. The motto! Instagram gives you a chance to write a brief “bio” and that’s exactly what people first see at the top of the page. Use that space to write the company’s motto. 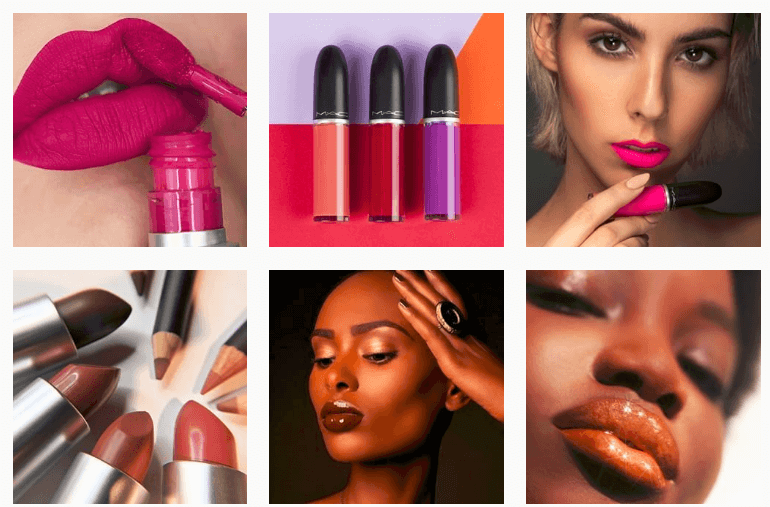 If you check the profile of MAC Cosmetics, that’s exactly what you’ll see. A brief description of the business, followed by their motto and a link to the website. The perfect business profile needs a good profile photo, which represents the brand. Your logo is the simplest way to go, and it works. It conveys your brand’s identity, and it’s recognizable enough when people see your posts in their feeds. Don’t forget to include a clickable link in the bio section! It should lead your customers to the main website, where they can buy your products or services. The visual content is what matters the most. You need a strategy for this! If you check out the profiles of the most successful brands, you’ll see they maintain a specific vibe throughout their photos. Such a strategy makes the brand recognizable. Instagram is not a webstore. It’s mostly a platform where people come to see beautiful visual content. That’s their main interest. If they are interested in a product, they will buy it not because you’re directly selling it to them, but because your content convinced them it was exactly what they needed. Let’s take another successful Instagram page as an example: Yakima Racks. They show real users of their products through the photos they post. It’s not just about the product and all its awesome features. It’s about the experience the product provides. The fact that the brand often collaborates with influencers to tell the stories is a huge bonus. They take over the account and bring the followers along with their adventure. Lifestyle photography is exceptionally effective. It makes people want that experience, so their instinct tells them they need the product, too. Storytelling works well on Instagram. People actually read the captions there, so make them great! 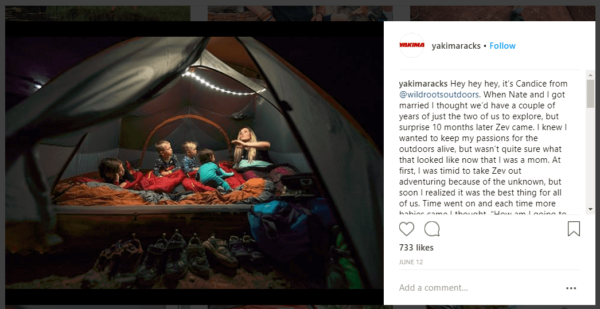 The example with Yakima Racks brings us to another important point: business pages on Instagram should post user-generated content. That inspires more users to tag your brand in their posts, so they will get shared on your profile. When you create such a community around your product, more people are attracted towards it. Just check out the profile of Vitamix and you’ll see what we mean. They feature user-generated content from food bloggers, but from regular users as well. You’ll still notice that all photos are carefully selected, so the brand can maintain the unique vibe of their profile. We’re not talking about influencers here. We’ll get to that point a bit later. We’re talking about normal users of your products. They don’t have to have many followers on their profiles. If their content is good and it presents your brand in the best light, feature it on your profile. Whenever you notice that an Instagram user tagged your brand, check out the post and react on it. Like and comment; we all love that! You’ll show your appreciation and you’ll boost the chances of turning this person into a returning customer. If the content is good, ask for their permission to feature it on your profile. When you do feature user-generated content, don’t forget to tag the Instagram user who created it. To get more user-generated content, run contests! Invite your followers to share moments when they use your products. The rules should involve tagging your brand and using a specific hashtag. The best participants will get an attractive prize, which you’ll clearly provide. If your target audience is international, then make the contest international, too. A huge percentage of businesses already use Instagram for promotional purposes. What does this mean for you? You’re entering a very competitive environment. Due to that fact, you might have to invest in advertising. No matter how great your social media marketing budget is, you can reach people on Instagram with it. You’ll limit the budget on the ads, so you won’t spend more than planned. At the same time, you’ll reach a targeted audience of people interested in buying your products or services. Instagram lets you monitor the results of the campaign, so you can keep working on it to make it more effective. Keep the content fun and the message straightforward. If it’s a video, Instagram users won’t give it a chance if it doesn’t capture their attention from the very first second. If it’s a photo with a caption, they won’t read it unless something indicates it’s important for them. Don’t forget the call to action! The ad should tell people to follow your page, visit your website, or directly shop for your products. 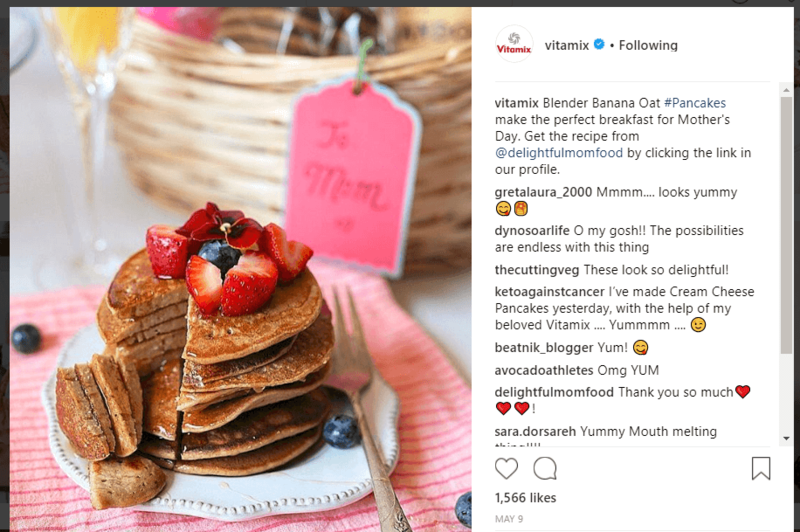 Speaking of Instagram ads, don’t forget the influencers. They already have a large base of followers. When you collaborate with them, you get great exposure. As it turns out 78% of influencers prefer Instagram for brand collaboration. So reach out to the most prominent influencers from your niche and make an offer they can’t refuse. Instagram story ads are great because people see them even if they use ad blockers on their browsers. Plus, you can pay for story ads that will show up to Instagram users who don’t even follow you. They will see the ad between the stories of the people they follow. You can engage users through your usual stories, too. Just use the “Swipe Up” feature, and they will directly come to your website. If you check out Kino MacGregor’s story above, you’ll notice her offer lasts for a limited period of time. When you’re after the greater engagement, it’s important to create that sense of urgency. If you actively sell on Instagram, your followers will clearly expect promotional offers. Of course, you’ll give such opportunities to them, but you’ll make them time-sensitive. An offer with a deadline pushes them towards a quick decision and instant action. That’s a nice way to get immediate benefits from your Instagram advertising campaign. The Instagram community is pretty welcoming towards brands. The marketing approach, however, mustn’t be too aggressive. Remember: it’s all about the stories; not the products. It takes a lot of planning and strategizing to develop the perfect Instagram marketing campaign, but you can do it. If you follow the tips we provided above, you can start making the first steps today!